our story featured in charleston style & design's summer 2018 issue! check it out! We Serve our customers nationwide. you call us. we ship it. ELLIOTT BROTHERS WOODWORKS HAS THE FINEST INSTALLATION, SANDING & FINISHING TEAM MEMBERS IN THE CHARLESTOn & surrounding AREAs. Our expert craftsmen are ready for your next project. DON'T LIVE IN THE CHARLESTON AREA? NO PROBLEM! WE CAN SHIP PRODUCT ANYWHERE IN THE UNITED STATES. FOR RESIDENTIAL OR COMMERCIAL installation APPLICATIONS HERE IN THE CHARLESTON AREA, AND WITHIN 100 MILES, WE HAVE LOCAL, PROFESSIONAL INSTALLATION TEAM MEMBERS TO TAKE CARE OF YOUR WOOD NEEDS. QUALITY PRODUCTS. EXCELLENCY IN CUSTOMER SERVICE. SUPERIOR CRAFTSMANSHIP. THAT'S WHAT YOU CAN EXPECT FROM TWO BROTHERS WHO DELIVER ON THEIR PROMISES AND WHOSE EXPERIENCE IS BAR-NONE. GLENN AND JAKE ELLIOTT STARTED COLLABORATING TOGETHER OVER 10 YEARS AGO TO CREATE A FAMILY-OWNED WOOD COMPANY. EACH BROUGHT THEIR PRIOR BUSINESS AND SALES EXPERIENCE TO THE TABLE, ALONG WITH THEIR EXPERTISE AND KNOWLEDGE FROM WITHIN THE WOOD INDUSTRY. 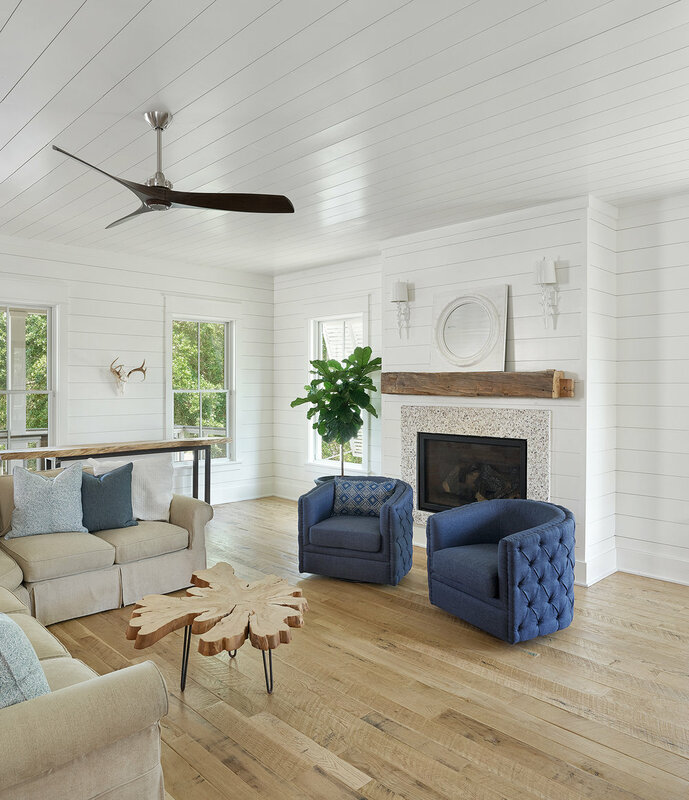 THIS EXPERIENCE AND COMMITMENT TO KNOWING THE INS-AND-OUTS OF THE WOOD INDUSTRY HAS MADE ELLIOTT BROTHERS WOODWORKS CHARLESTON'S PREMIER, GO-TO FLOORING AND WOOD COMPANY. WE SPECIALIZE IN ALL SPECIES OF WOOD FLOORING AND THE INSTALLATION, SANDING & FINISHING OF FLOORS. WE CARRY & INSTALL ALL ACCESSORIES INCLUDING STAIR TREADS, RISERS, CUSTOM WOOD VENTS AND SHOE MOULDING. OUR LOVE OF ALL THINGS WOOD INCLUDES RECLAIMED TIMBER PRODUCTS ~ ANTIQUE BOX BEAMS, BARN WOOD & MANTELS ~ TO NAME A FEW, AND SPECIALTY WOODS SUCH AS IPE, pecky cypress & cumaru. WE ARE COMMITTED TO PROVIDING PROFESSIONAL, SUPERIOR CRAFTsMANSHIP FROM THE BEGINNING STAGES OF PLANNING AND CHOOSING THE RIGHT FLOOR, TO THE FINAL COAT OF FINISH. mixed widths, wide planks. any species you desire. the possibilities are endless. *NOTE: ALL OF OUR FLOORING IS NOT PICTURED ONLINE. PLEASE INQUIRE ABOUT A SPECIFIC FLOOR OF INTEREST & WE'LL GET IT FOR YOU! add some history to your life with our reclaimed barn wood.